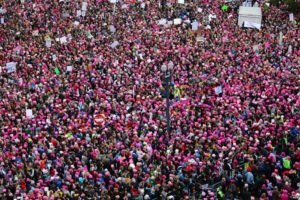 Blog Why Do We March? In yoga, we talk often about the divine feminine and sacred masculine, how we all have both aspects within us – the Yin and the Yang, Shiva and Shakti. And how we need both within us to remain balanced and strong. In ancient times, people revered both gods and goddesses. For every masculine deity or concept, the feminine counterpart was right there, different, yet equally essential. But as the ancient ways were replaced with societies that valued the masculine side over the feminine, our world grew more and more out of balance. Women became second class citizens, even considered property in some cultures. Yin, the feminine energy, is even described as sinister, treacherous vs the positive, sunny male essence of Yang. But in reality, we need dark and light, hot and cold, active and passive, sun and moon. We need both. In harmony. In balance. In ourselves and in our world. And just when we thought maybe, just maybe, we’re rolling towards that harmonious balance, boom! Women, and the divine feminine were attacked. No. Most of us do not want to go back to the Fabulous Fifties where women were expected to be quiet, be homemakers and make babies. And when divine feminine feels threatened and starts to harness her power, anyone in her way better look out. So just what is the divine feminine anyway? It’s nurturing. Expressive. Creative. It gives birth to new life and fosters growth in both the literal and broadest sense. It’s beauty. It’s pleasure. It’s nourishing, vulnerable and open. Divine feminine is necessary for life to continue. No more or less than the sacred masculine. Both have good, strong, crucial qualities. Both have their drawbacks. That’s why too much of one and not enough of the other spells trouble. 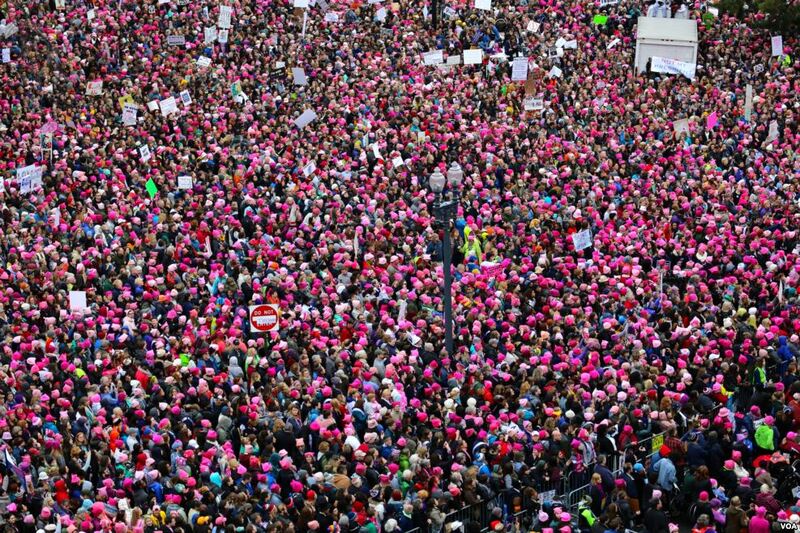 So we march. We march for balance. We march for compassion for those who struggle. Justice for the oppressed. Freedom to express and create with kindness and sensitivity towards others. Freedom to create the life we choose, not the life others choose for us. We march to ensure the goddess energy, divine mother, mother earth, stays vitally alive. We march for our mothers, our sisters, our daughters, ourselves and the divine feminine that exists, however dormant or dominant in our fathers, brothers and sons. We march to keep sacred, the dark cave of the heart. We march to awaken our compassion, our creative spark, our souls. We march to awaken the world.